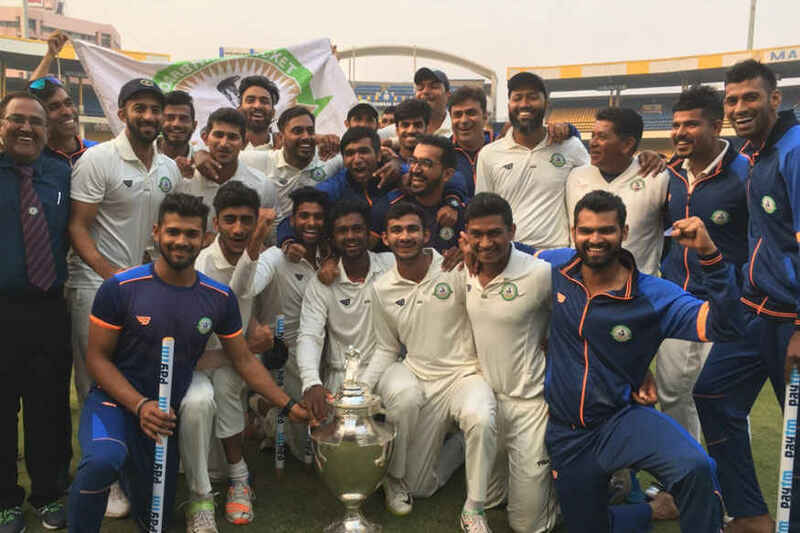 Vidarbha claimed their maiden Ranji Trophy after beating Delhi by nine wickets in the final of India’s premier domestic tournament on Monday. Chasing a target of 29, Vidarbha completed the task with loss of skipper Faiz Fazal’s wicket. Opting to field, Vidarbha bowled out Delhi for 295 in the first innings with Rajneesh Gurbani picking up six wickets. 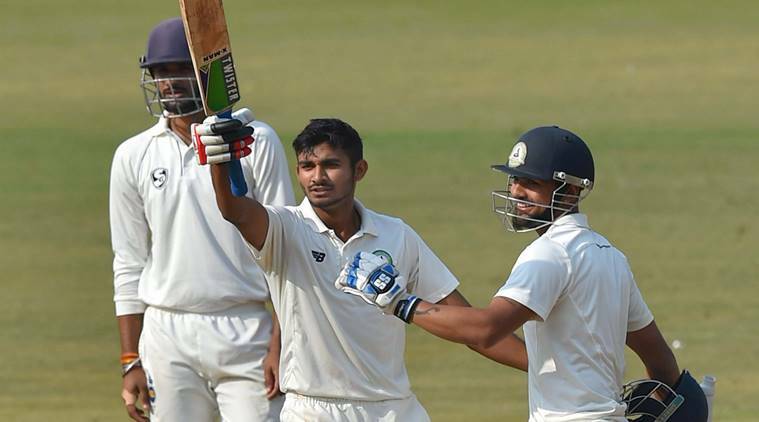 In reply, Vidarbha notched up a mammoth 547 all out, as Akshay Wadkar struck his maiden century in first-class cricket. Overnight Vidarbha were 528 for seven with wicketkeeper Wadkar unbeaten on 133, but Delhi quickly picked up the remaining three wickets in the morning. In their second innings, Delhi were all out for 280 with Shorey scoring another half-century – a 142-ball 62 – while Nitish Rana struck 64. Vidarbha chased down the 29-run target with a day to spare at the Holkar Stadium, which hosted the title clash of the tournament for the second successive time. 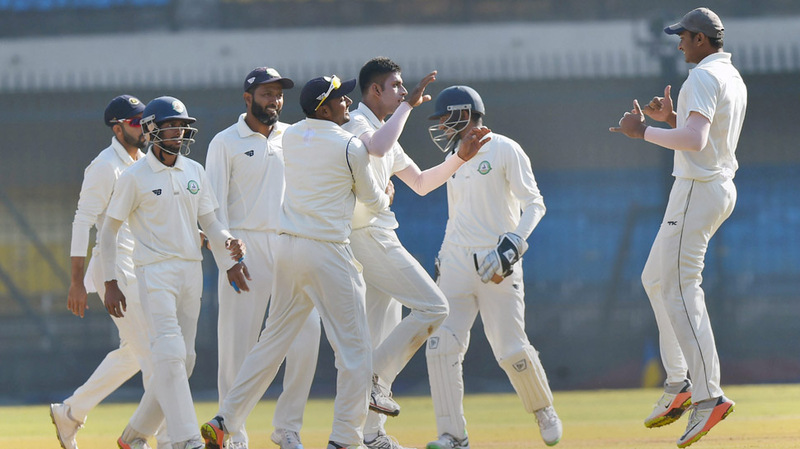 Vidarbha Cricket Association president Anand Jaiswal announced that the Ranji champion team will be richer by Rs 5 crore, which will be distributed among the players as well as the support staff. “The players will be felicitated by the state association. The Vidarbha Cricket Association will be distributing Rs 3 crore among its players. Also the winners prize money of Rs 2 crore will also be distributed among the players,” Jaiswal told reporters after the team’s historic Ranji Trophy triumph. BCCI CEO Rahul Johri also congratulated the champion team. “Heartiest congratulations to Vidarbha on winning their first #RanjiTrophyFinal. Thank you MPCA for being such gracious hosts @BCCI,” Johri tweeted. And then came a reckless shot by skipper Rishabh Pant (32), an attempted heave off Siddhesh Neral leading to his dismissal as Delhi ran out of batting options. This was an over after Pant was let off by Wadkar, who missed an easy stumping chance.